Parcel Viewer allows users to annotate parcels with additional information by drawing on and adding text to parcels. 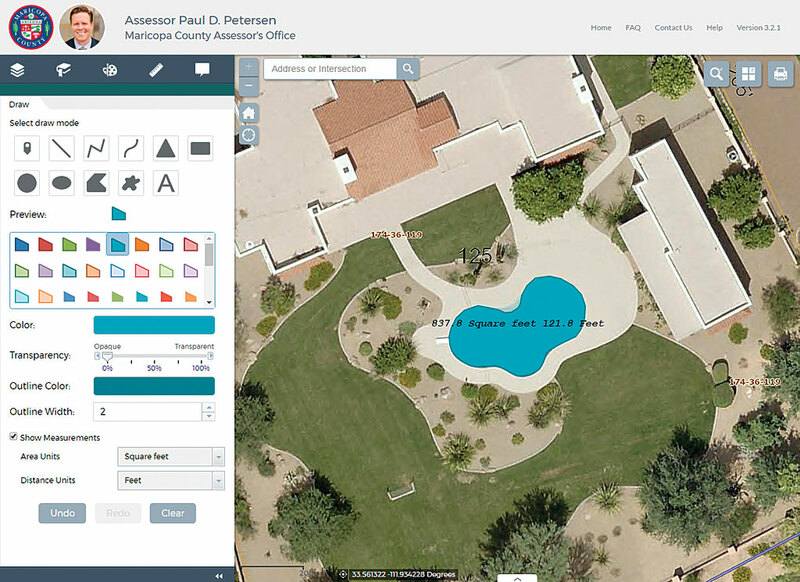 It is now easier than ever for parcel assessors, real estate agents, appraisers, and other interested parties to review national boundaries, jurisdiction, zoning, and ad valorem valuation in Arizona’s Maricopa County. Within a two-month timeframe, Baker and her team built the web app they needed. 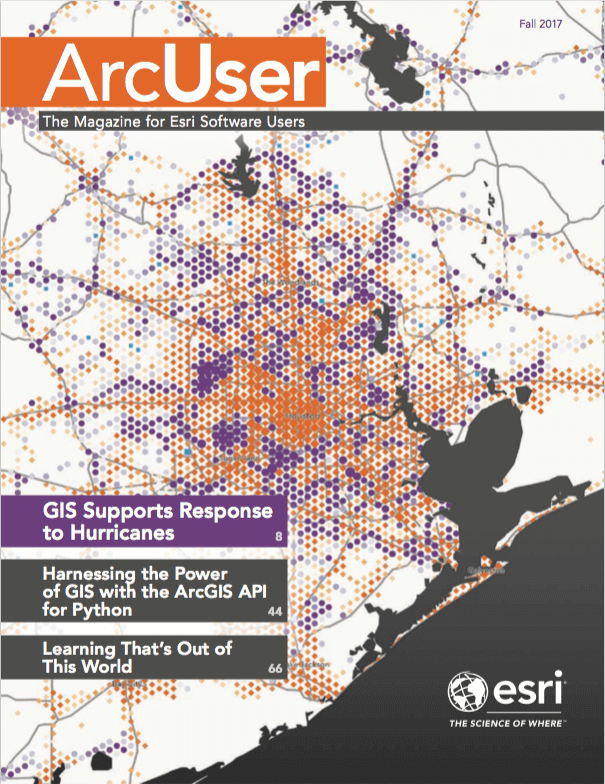 She broke down the app’s search capability by categories, then added aerial photographs and basemaps to show zoning, flood lines, and other options for each parcel. The app also allows users to annotate parcels with additional information by drawing on and adding text to parcels. Baker added a “My Location Finder” so users, such as assessors in the field, can click a GPS icon and zoom to their location. Change from the old public-facing maps was a bit difficult at first, Baker explained, but as people learned to use the new site, they appreciated its advanced functionality. For example, a buffer tool shows how many residential or commercial parcels are within a certain area. Users can export addresses for all those parcels—a tool that’s especially useful to owners and their representatives who are working with city permitting.